This is the first article in a two part series. 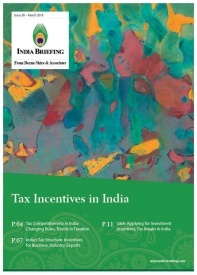 In part two, we will discuss location-based incentives for foreign investors looking at India’s auto components industry. 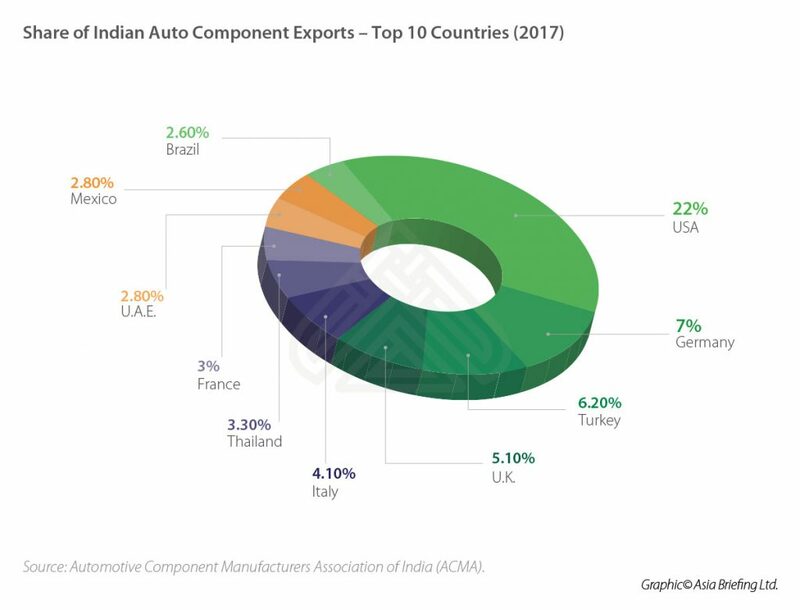 India’s rapidly increasing domestic demand and proximity to key Asian markets has made it a strong auto components sourcing hub. In 2016-17, the annual turnover of the auto component industry in India crossed US$43 billion; it is expected to reach US$115 billion in 2020-21. 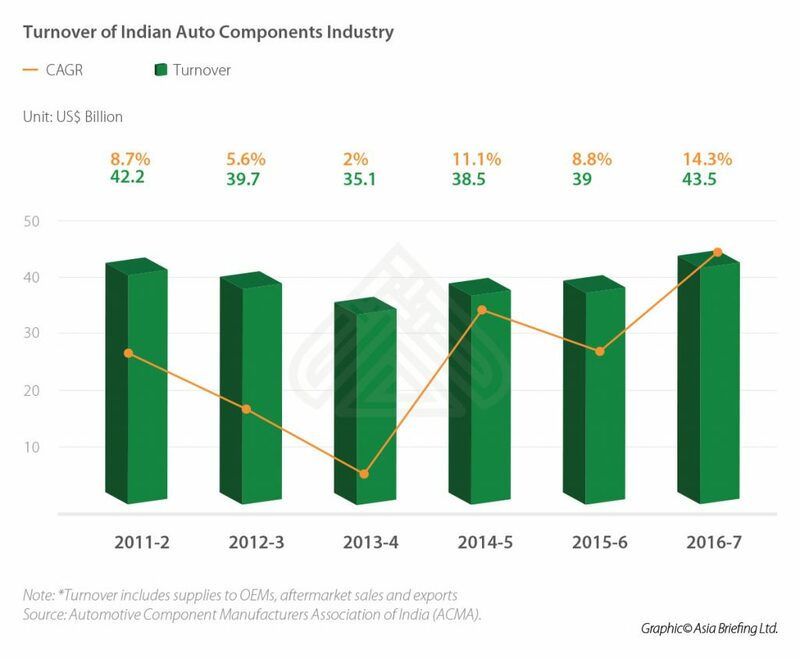 This article charts out the incentive-led growth of India’s auto component industry, which now forms the largest segment of the country’s domestic manufacturing capability. Large original equipment manufacturers (OEMs) in this sector first began operations in India in 1993 when the automotive market was liberalized. The organized sector accommodates the needs of OEMs through the production of high precision equipment like steering components, while the unorganized sector caters to the after-sales market segment with low valued products for automobile repair and maintenance. The unorganized sector includes second-hand dealerships and garages. Although the latter far outnumbers the former, the organized sector accounts for a much larger share of the sector. 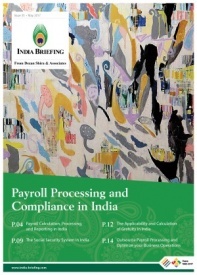 Companies operating in India save up to 10-25 percent on operational costs, compared to operations in Latin America or Europe. Multiple factors play into this. India is the world’s third largest steel producer – a key raw material in the production of auto components, which keeps costs down. 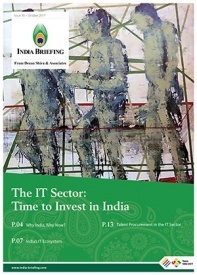 Meanwhile, global OEM sourcing from India is rapidly growing alongside increased indigenization of global OEMs through mergers and acquisitions. 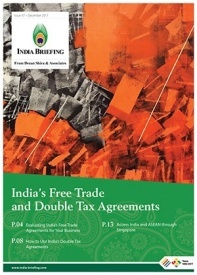 The parallel developments make India a preferred designing and manufacturing base. 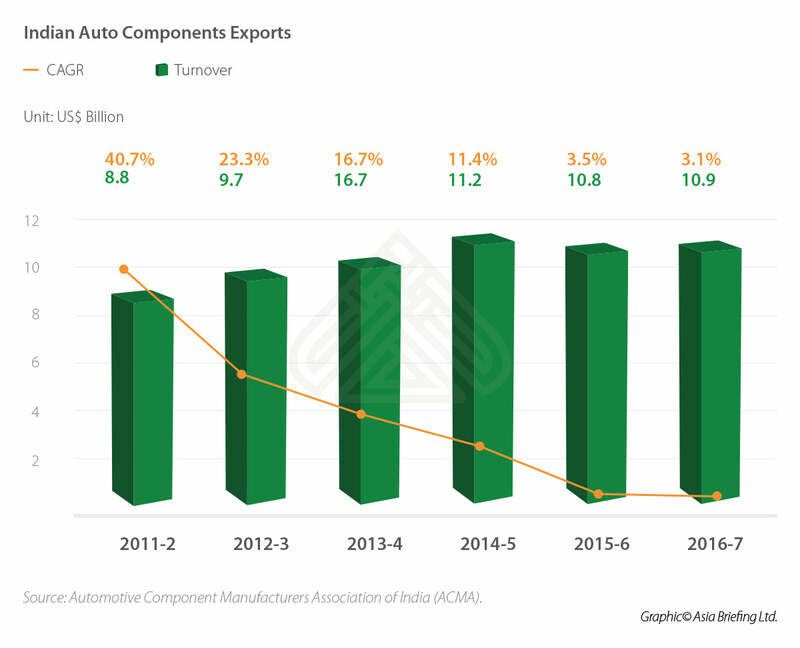 It also explains the growth in export revenues of Indian auto component makers, which have further been augmented by strong internal demand from automobile manufacturers. India’s automobile sector comprises 45 percent of the total manufacturing GDP, and in February, India became the world’s fourth largest automobile market. Exports from the auto components industry are therefore robust, and comprise four percent of total Indian exports: the US accounts for the largest share of India’s auto component exports, followed by European markets. India’s Auto Policy of 2002 allows automatic approval of 100 percent foreign equity investment in facilities that manufacture auto components. Bolstering the manufacturing prowess of India’s automotive sector – a key beneficiary of which is the domestic auto component industry – is an important goal of the Make in India initiative. The Automotive Mission Plan 2026 (AMP 2026) seeks to engage with the Make in India initiative to create a global hub for automobile manufacturing in the country. The Plan aims to generate the capacity to produce an annual turnover of US$200 billion – with exports worth US$80 billion per year, domestic after-sales market worth US$32 billion, and the creation of 3.2 million jobs in the industry. To this end, the federal government has invested in enabling infrastructure projects, such as the National Automotive Testing and R&D Infrastructure Project (NATRiP) centers. 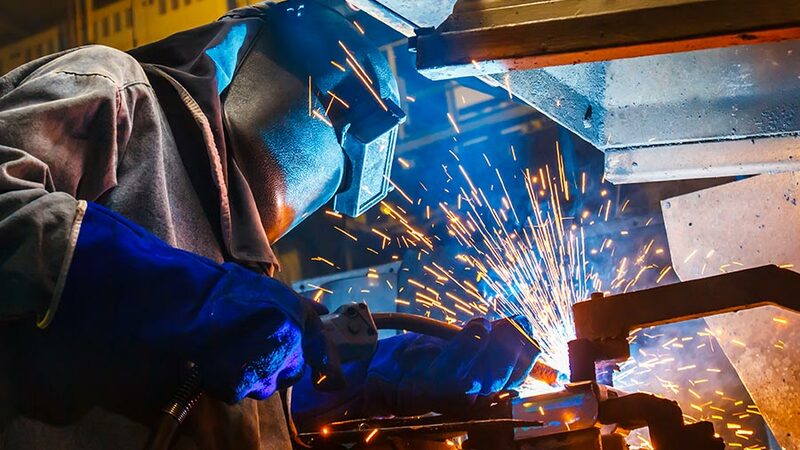 In addition, the Department of Heavy Industries & Public Enterprises has created a US$200 million fund that provides manufacturers with low-interest loans and investments in new manufacturing capacity. Mid-level auto component suppliers are granted export benefits on products against their Duty Free Replenishment Certificate (DFRC). 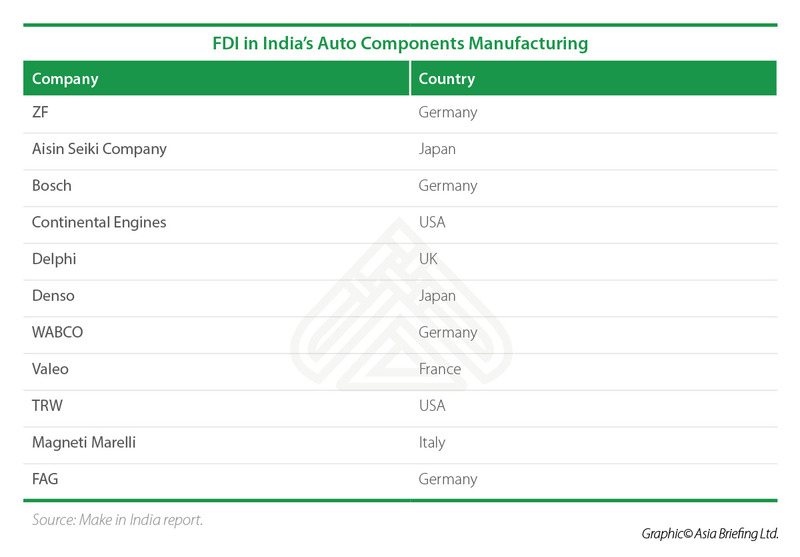 Given the favorable investment environment, major global auto component manufacturers have set up shop in India.